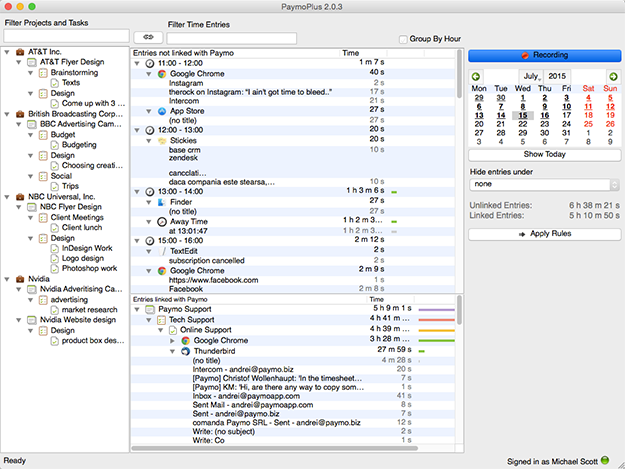 Paymo Plus is an automatic time tracking tool that tracks what you do on the computer. It tracks how much time you spend browsing Facebook, editing a Word document, tweeting, or how much time you spend away from the desk. You can download Paymo Plus from your Paymo account by clicking on Your name (bottom left corner) → Add-ons or from our website. 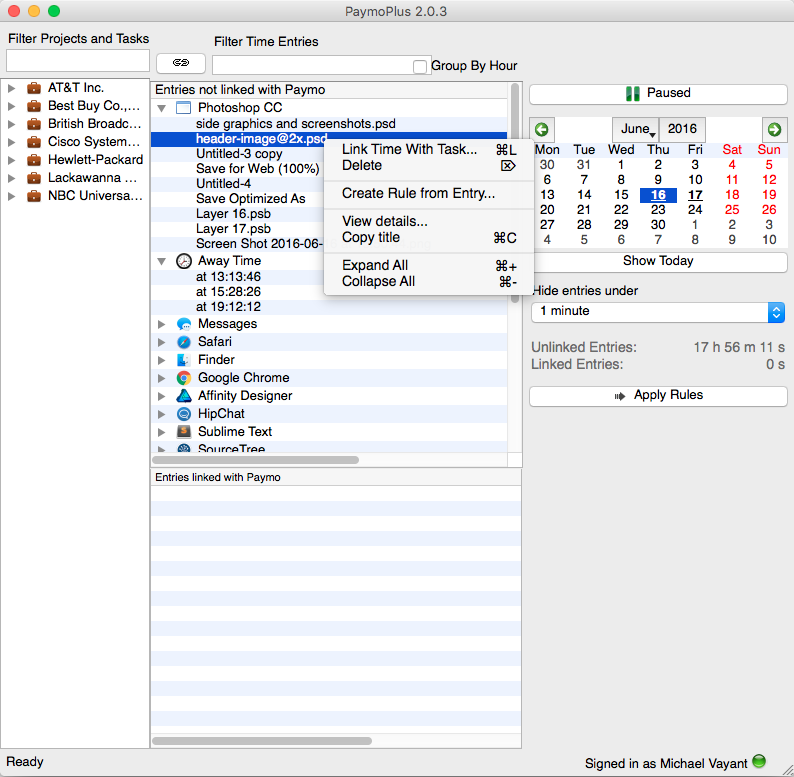 Paymo Plus is designed for multitasking and it’s very easy to use: just set it to run when the computer boots up and link the entries with the tasks whenever you like to. You can add new task lists and tasks in the left Projects and tasks section. If you have a lot of projects you can filter them by typing the name or the first couple of letters. Time entries can be linked with the desired task by either right clicking on the time entry → Link with task or dragging and dropping the time entry from the center of the app to the tasks section on the left. When clicking on View you can set the apps you wish to be excluded from tracking. You can also select to display the linked entries and to refresh the project list. 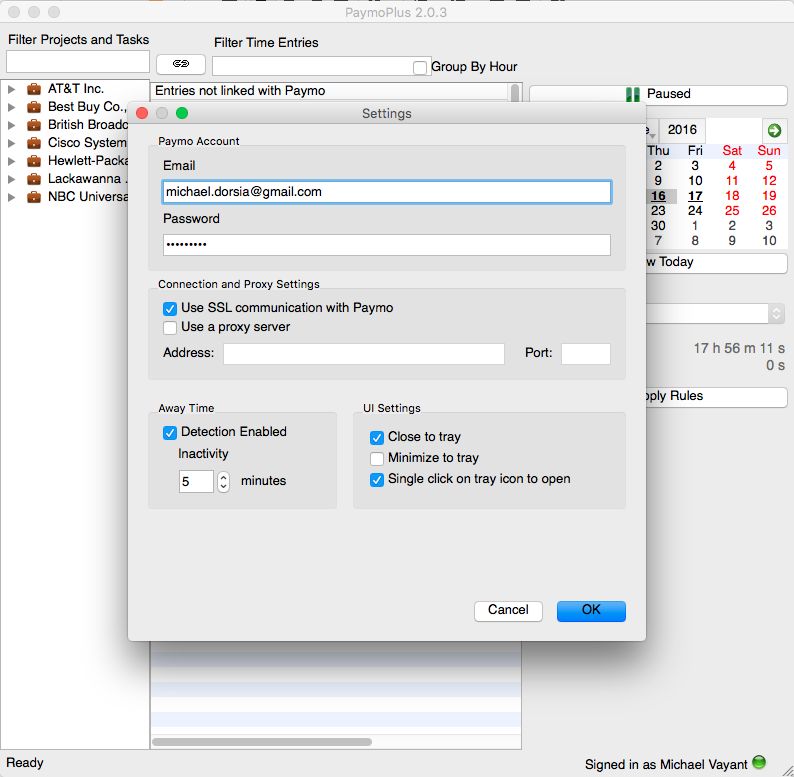 In order to access the Settings section you need to click on File → Settings for Windows or Paymo Plus → Preferences for Mac. There you can set up your login credentials, the away time detection, proxy settings and UI Settings. Or you can right click on the timer icon → Settings. If the app stops tracking or saving time entries, it means the sqlite got corrupted – don’t worry, there’s a quick fix for that. 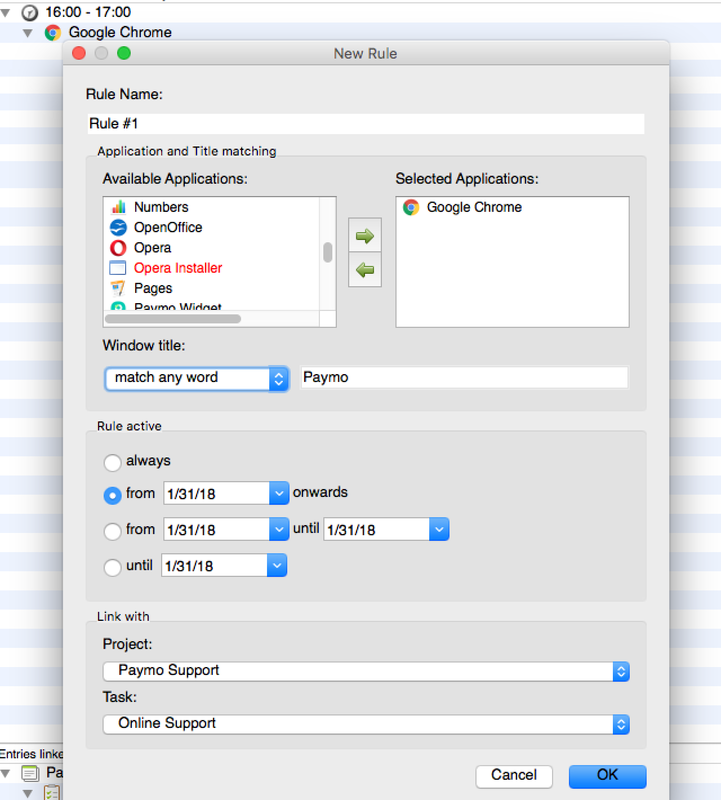 You need to click on Paymo Plus → About Paymo for Mac or Help → About Paymo for Windows and follow the path to the sqlite file. Once there, close the app (exit) -> Rename the sqlite file and re-open the app and everything should be back to normal.